Here is a fantastic article published By John Doppler on November 9, 2017 in Book Production & Distribution on the Self Publishing Advice Centre. Brought to you by ALLi ( Alliance of Independent Authors) Concerning the sad and disappointing closing of Pronoun. One of the best and easy to use online ebook distributors for independent authors and publishers alike. ALLi initially covered Pronoun’s launch and subsequent acquisition by Macmillan with a mix of optimism and skepticism. ALLi founder, Orna Ross, and Author Enterprise Advisor, Joanna Penn, expressed concern about the (lack of a) visible business model. Despite those early misgivings, Pronoun earned the approval of indie authors, including myself and fellow ALLi Watchdog Giacomo “Jim” Giammatteo, and ALLi decided to give the service the benefit of the doubt and observe closely what unfolded.So Monday’s sudden announcement of the closure of Pronoun was a shock and a disappointing end for a service that held such promise. It seems that early sense of “it’s too good to be true” was justified. 70% royalties on Amazon titles under $2.99. 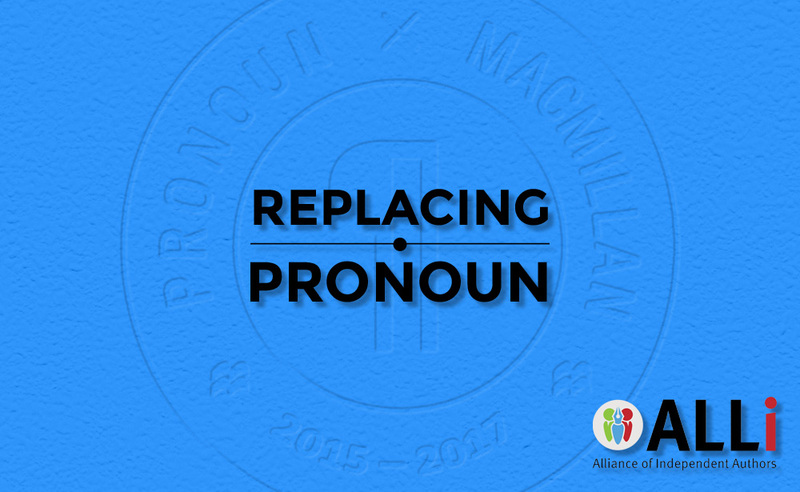 As we bid farewell to Pronoun, we hereby look at each of these features, in turn, to tell you which ones can be replaced, and where, so that you can decide how to transition your Pronoun titles to new services.